ISLAMABAD: Students were awarded degrees in the disciplines of economics, mass communication, public administration, clinical psychology and development studies at the undergraduate and postgraduate convocation of the NUST School of Social Sciences held at the university’s main campus here on Tuesday. The graduation ceremony was attended by Tariq Sayeed Saigol, CEO of a Pakistani conglomerate, Lieutenant General (r) Naweed Zaman, Pro-Rector (Acad); Dr Ashfaque Hasan Khan, Principal and Dean School of Social Sciences and Humanities, faculty members, parents of graduating students and members of civil society. Speaking to the graduates as chief guest, Tariq Saigol said it was a moment of celebration and triumph for NUST, its teachers, graduates and parents who worked hard and achieved a great success. Lauding the leadership role of NUST in nurturing the best minds, addressing socio-economic challenges and making contribution for technological advancement in Pakistan, Saigol urged the graduates to utilize their professional potential for human development in the country. 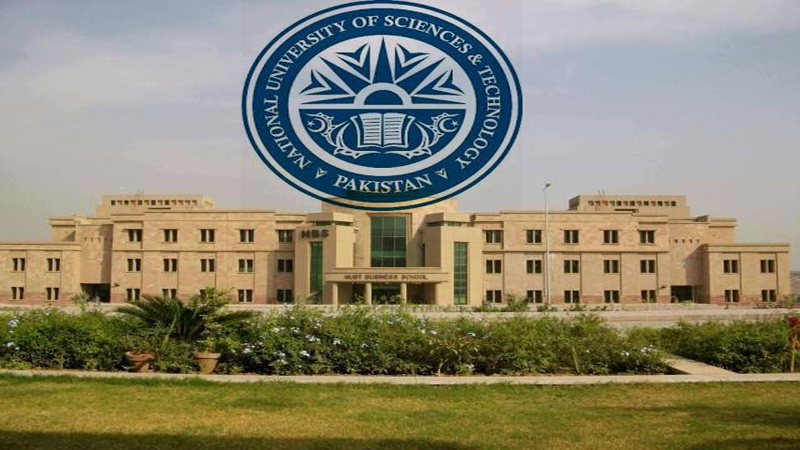 In his address, NUST Rector Lt Gen (r) Naweed Zaman said the young and promising graduates of the School of Social Sciences are an asset as far as societal and national developments of Pakistan is concerned. “There is a pressing need for a better understanding of ongoing global developments and thus the need for social sciences input becomes obvious in the new age,” he said. Highlighting the media’s role in society, Naweed Zaman said the development-oriented role of media can lead Pakistan to successfully overcoming the challenges of the 21st century. Referring to the rise of China as an established economic power, he said Pakistan, being the ‘Iron Brother’ of China, needs to learn as to how China grew so fast. Being a forward looking university, NUST has taken lead in Pakistan by establishing a Chinese Studies Center, which is teaching Chinese language and culture, Chinese development experience and Chinese entrepreneurship skills to the business graduates. He also announced plans to establish the Department of Sinology in NUST to gain an in-depth insight into China’s model of development. He also lauded the NUST for aligning its R&D endeavors with Chinese universities and think tanks, which would augur well for the future development of Pakistan. Congratulating the graduates on their meritorious achievement, Dr Ashfaque Hasan Khan said, “We appreciate the NUST role in creating and sustaining the academic and professional excellence. This excellence comes about only through investment in faculty, facilities and technology. We are constantly adapting to meet the challenges of higher education in the 21st century.” He further said these graduate professionals, through policy making, communication, and economics, will make tremendous contribution to the cause of uplifting Pakistan’s socio-economic level both in public and private sectors. Khan encouraged the graduates to transcend themselves as professionals and in doing so inspire the world with their compassion and talent. He also extended his heartiest felicitations to the parents and the faculty on coming to fruition of their aspirations and hard work. He also commended the School of Social Sciences for growing as a vibrant part of the NUST, thereby producing quality professionals for the industry and the market.